Hey everyone, my name is M. A. 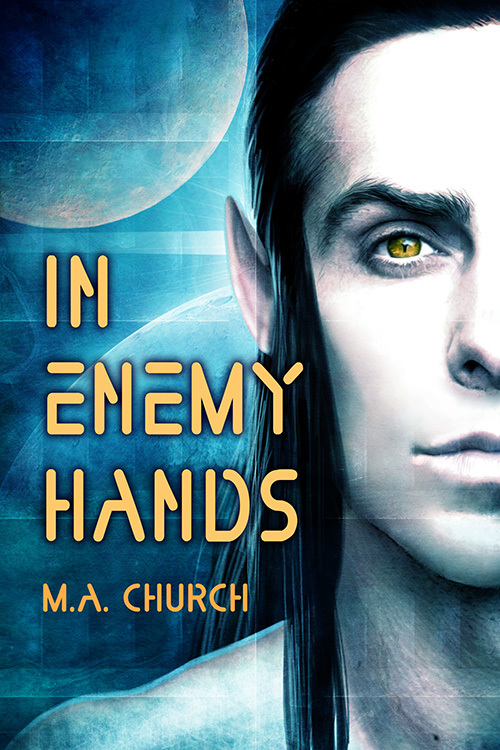 Church, and I’ve stopped by Book Lovers 4Ever to talk about my latest release, In Enemy Hands. “Are you saying our king threatened our family members?” Artan asked, dropping his shoulders in defeat. “No. That’s my responsibility. Now return to your station.” Varo waited until the door silently closed, then made a shipwide announcement with his orders. He didn’t say it, but he probably didn’t have to. His crew was well aware of the rumors surrounding the Helkans. The odds were good that once they attacked, the Helkans would blow them out of the air. He hoped, in what little time they had left, his crew would set up subspace messages to be sent out after they failed in their attack— and yes, he had no doubt they’d fail. He returned to his port window and the study of Helkan. Too bad he had no one to send a message to. Bedamned irrational Helkans. “Animals,” he whispered as he stared at the planet. Lost in thought, he jumped when the reminder beep alerted him that the asteroid field was close. Where did the time go? He opened the door to his private office and stepped out onto the bridge. The book sounds really good I love to read Sci Fi after spending many hours watching Star Trek re-runs when I was young. I think this will be a great book. I love her writing.